Innovative, emotional and trippy electronic music. The album title express the real entity of the album, it is the lymph of the artist. The tracks explore many music genres, each one produced based on the feeling of the moment. There are chillout tracks, to express the beautiful intimate moments, where each one of us needs a corner to relax, other tracks reveal the dreams, the hopes hidden sometimes inside us. A beautiful listening pleasure, for lovers of instrumental music and not. Let the music flow in your body like the lymph that feeds, protects and helps your human being. Anyone could be attracted by the tracks, there are melodic content, groovy beats, beautiful sounds, many musical influences from a variety of genres, perfectly mixed together to express the essence of this album. Have a listen, probably you will be caught. 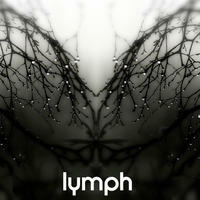 Lymph is the first album release on Magnatune by Nuform, a musical project by Italian producer Simone Mencarelli. License Innovative, emotional and trippy electronic music by Nuform for your project. Play the music of Nuform in your restaurant or store.